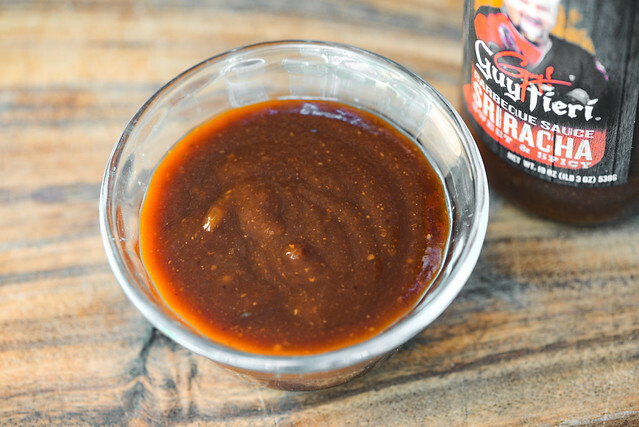 Sriracha gives this sauce a unique heat that plays well with all the usual barbecue components to create a flavor that demands attention. It'd be hard not to know who Guy Fieri is at this point—the man even branded his website bio as a "Guyography." While most know Guy Fieri after his win on The Next Food Network Star, which sent him on a track to hosting the popular Diners, Drive-Ins and Dives, he got his start in more humble beginnings. He's had a lifelong love of food, which was strengthened even more when he was an exchange student in Chantilly, France. Upon return to the U.S., Guy studied hospitality in Las Vegas before starting on a path to food superstardom. Fieri is also a huge barbecue fiend, and is even a part of a competition team dubbed the Motley Que Crew. So with some solid barbecue know-how under his belt, he is now producing a line of sauces primarily available at local groceries. 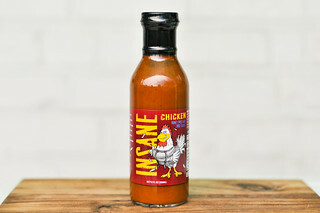 An initial whiff of this sauce fills your nose with an unmistakable sriracha aroma. The deep and spicy chili smell paired with a heavy garlic is front and center, while there's an additional acidic tomato that creates more depth than sriracha has on its own. Upon some deeper inhales, the more common barbecue components start to make themselves known. Most noticeable is a mellow tang that's balance with a molasses sweetness, but there are also hints of onion and smoke in there as well. This maroon sauce has a glossy sheen and a mostly smooth texture that's only broken up by what looks like some small bits of onion or garlic. While the sauce is opaque, you can still see tons of spice specs, mostly in white. The sauce's thickness is right in the middle of the scale at a solid medium, and it falls from a suspended spoon first in one large drip followed by just a few smaller ones, before ceasing and leaving a medium-thick coating left clinging to the silverware. First taste of this sauce has a strong flavor of sweetened sriracha. A deep molasses sugar base is the first thing to hit, but very quickly a mixture of pungent and spicy chilies mixed with garlic creates a foil to the sweetness. As the sauce begins to settle on the tongue, a fruity and slightly acidic tomato works its way in, followed by a light onion. Then the tanginess begins to ramp up at the same time the heat makes a power move to create a spicy and tart aftertaste that has a hint of smoke in the background as well. This sauce coated the chicken in a medium, uneven layer that baked down well over indirect heat. When moved directly over the fire, there was a little burn off along with blackening. 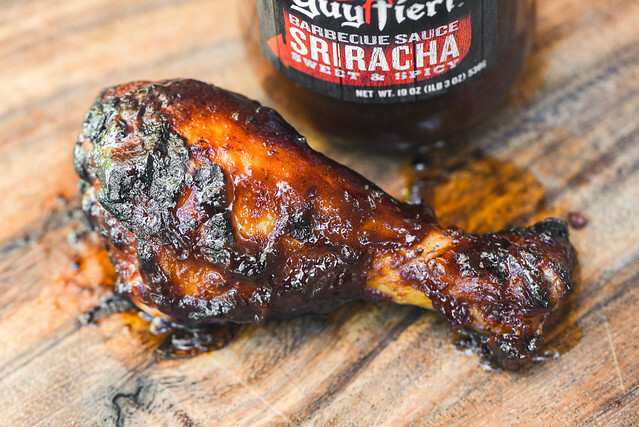 While the sriracha was most prominent out the jar, the flavor after being cooked transformed to be more in line with a standard barbecue sauce—there was a well executed balance between sweet, tangy, fruity, and spicy. That spicy component was still recognizable as sriracha, but it blended in more seamlessly than in its raw state. 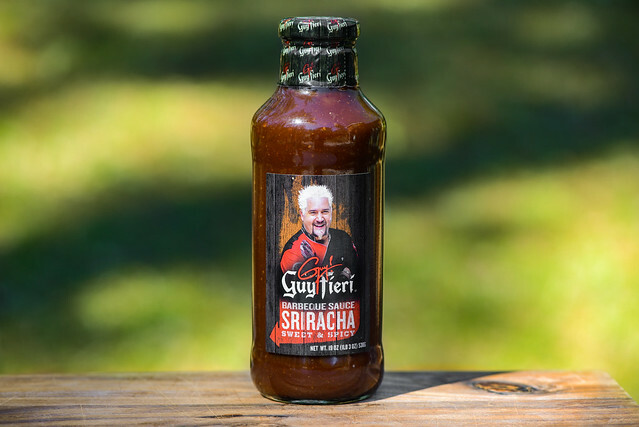 Love him or hate him, you'd be hard pressed not to agree that Guy Fieri has a pretty great barbecue sauce here. 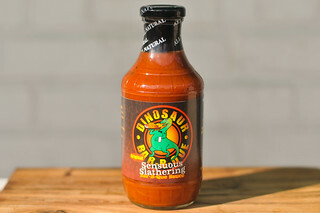 Out of the jar it managed to hit all the barbecue sauce notes in a good progression of flavors while allowing the spicy and garlicky sriracha to have a star performance that would make you notice this sauce in a line-up. 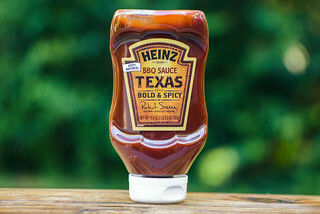 After being cooked, that heat mingled better with its neighbors to become a really well balanced and robust barbecue sauce that went well on the chicken, but whose flavor would be even better on heartier meats like ribs or hamburgers.